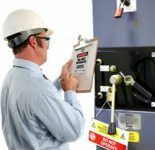 Failure by employers to develop and use hazardous energy control procedures as required by OSHA’s lockout/tagout standard (29 CFR 1910.147) is one of the Agency’s annual top 10 most frequently cited workplace safety violations. Perhaps the most demanding compliance obligation is establishment of a written energy control program. Are Your LOTO and Machine Guarding Practices Compliant? Every year, between 150 and 200 fatalities and some 50,000 injuries occur due to failure to control the release of hazardous energy. 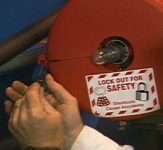 Lockout/tagout (LOTO) refers to the OSHA-required practices and procedures to protect workers from unexpected start-up of machinery or hazardous energy released during service or maintenance. What gets employers into LOTO trouble with OSHA? Attorney Nickole Winnett, shareholder in the Washington, D.C., office of Jackson Lewis, points to a number of culprits, including failing to ensure that energy control procedures have been developed, documented, and are in use for each piece of equipment where servicing and maintenance occur.